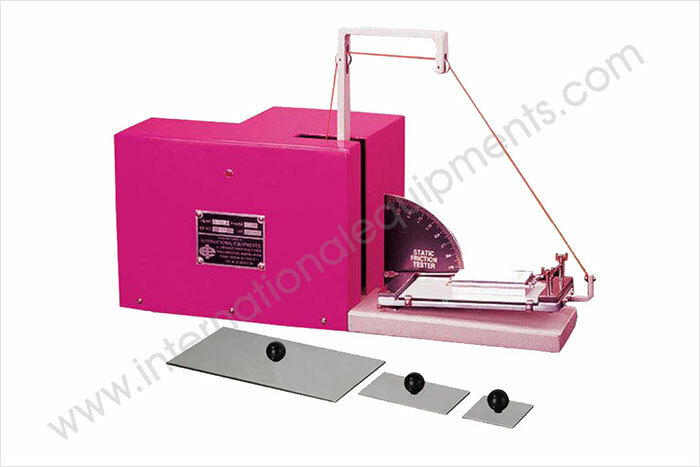 International equipments manufacture wide range of equipment for polyfilm testing which includes tensile tester & elongation tester, Peel bond tester, Coefficient of friction tester (COF), Melt flow index tester, Heat sealer tester, Burst strength tester, digital opacity tester. 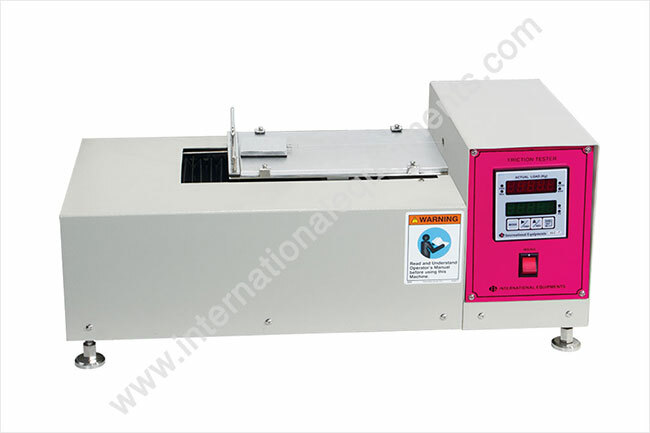 Coefficient of friction tester checks the coefficient of static friction and dynamic (kinetic) friction of films and sheeting. COF can be checked for film to films, film to metals similarly can be checked in machine direction MD as well as transverse direction TD. COF can be checked with MAT surface as well as gloss surface using both treated side as well as untreated side. • Weight of the sled :750 grams. as per ASTM D - 1894 to determine the coefficients of friction of plastic film and sheeting.